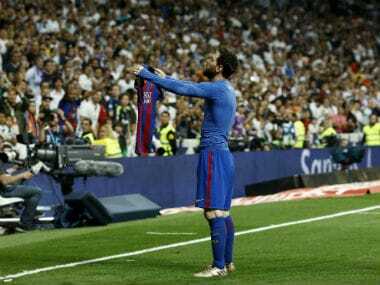 Lionel Messi handed Barcelona a vital win over Real Madrid with his second goal, which was also his 500th for the club, coming in the last minute of stoppage time. 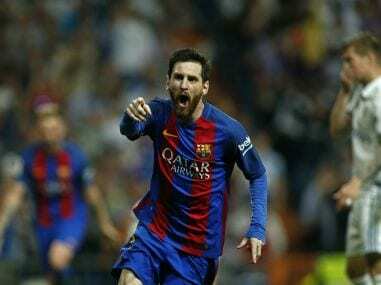 Lionel Messi struck his 500th Barcelona goal with almost the last kick of the game to blow the La Liga title race wide open with a thrilling 3-2 win at Real Madrid. 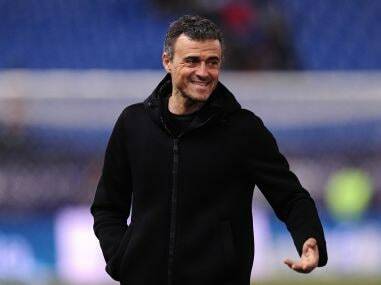 Barcelona trail Madrid by three points at the top of La Liga and have played a game more than their title rivals. 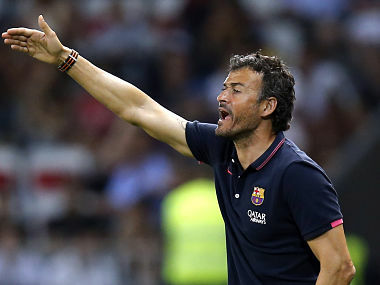 "This is a team that never gives up, that fights for every title, doesn't relax and always accepts the challenge," Luis Enrique said after Barcelona's ouster from the Champions League. Barcelona and Borussia Dortmund are among the top scorers in the Champions League this season and will need their sharp-shooters at their deadliest to stay in the hunt for Europe's biggest prize. The dismantling of Barcelona on Tuesday night will only serve to embellish the Old Lady’s continental credentials. Allegri called it the greatest result of his tenure at the club. Juventus is now unbeaten in 18 games at home in the Champions League. 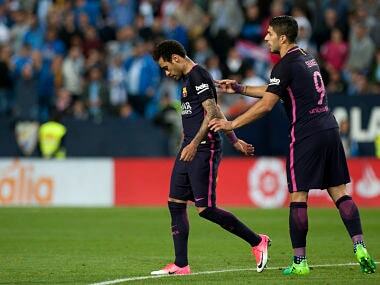 Neymar was sent-off as Barcelona lost further ground on Real Madrid at the top of La Liga in a shock 2-0 defeat to Malaga on Saturday. 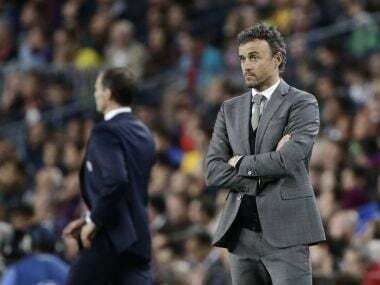 Barcelona boss Luis Enrique believes Neymar's sensational return of 100 goals in less than four seasons shows he made the right decision in joining the Catalan giants.